Buttons and ribbons.... ohhhh how we love them. 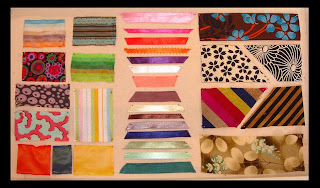 As you may know, we carry an assortment of materials to embellish your Garnish clothing! Take a peak at this beautiful sampling- and get inspired for Spring! Sometimes, we just need a little color and small detail in our wardrobe to lift our spirits and help us to feel unique and lovely!